Pontiac deserves more credit than it often gets for how much it influenced the horsepower craze before the GTO arrived in 1964, and this 1962 Catalina Super Duty is one of the reasons for that. 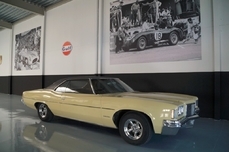 Pontiac boss Semon “Bunkie” Knudsen wanted winners, and by 1962, the company’s chief powertrain engineer Malcolm McKellar had become deeply involved in the aptly named Super Duty program. McKellar, who had joined the company in 1941 and was involved in its initial V-8 creation, was therefore responsible for the engine that ended up under the hood of this particular Catalina that year: a solid-lifter 421 CI V-8 engine whose first camshaft bore McKellar’s name and was designed primarily for racing. Inside, durability included forged-aluminum pistons, forged-steel rods and a forged crankshaft, topped with an aluminum intake manifold hosting inline dual Carter 500 CFM 4-barrel carburetors. This code-13U mill featured dual exhaust and was rated at 405 HP, which was enough for these machines to thunder on both circle track and drag strip. The Catalinas did so with success, with Glenn "Fireball" Roberts winning the Daytona 500 that year and guys like Mickey Thompson and Arnie Beswick competing in NHRA and AHRA events. 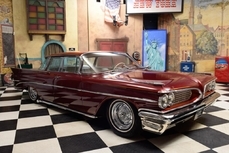 This car was originally ordered and delivered to Mont Clare Motor Sales in Chicago, Illinois. The included build sheet shows that this was a “special car order”. 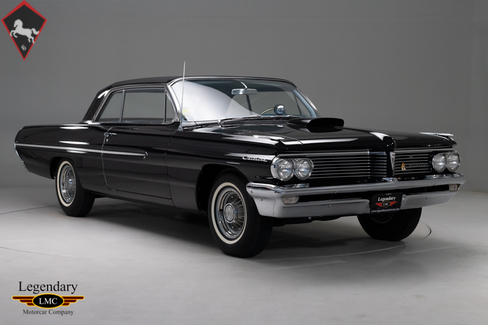 It is one of just 162 Super Duty Pontiacs produced in 1962. 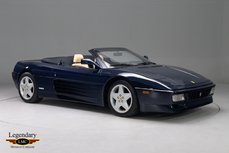 It was ordered in the ultra-rare color combination of Starlight Black with Tri-Tone Blue interior which is one of just six equipped new with upgraded Tri Tone Ventura interior. The beautiful blue Tri Tone interior is in outstanding original condition and under close inspection only the carpets have been replaced. It is complete with its factory dash mounted Stewart Warner tachometer and under dash gauges. 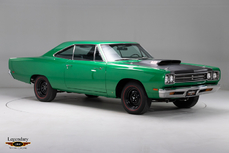 The car was driven until 1967 and then put into storage with just over 7,000 miles on the odometer. The car was found in 2005 in Sioux Falls, South Dakota locked up in a small garage untouched and in immaculate original condition. Complete with of pictures of the garage and the car being removed from its long term hibernation. 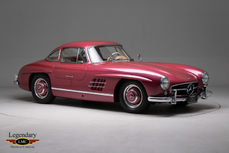 Once found the car underwent a complete frame off restoration done to a concours standard. 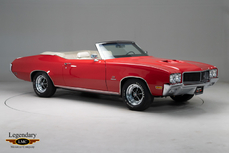 The restoration process was documented in the October 2014 issue of Hemmings Muscle Machines. During the restoration process many of the original NOS parts were refinished and put back on the car. All of the original bumpers, headlight bezels, taillight bezels and grill were re-chromed. All of the original stainless trim was polished and re-installed. The car was repainted in lacquer paint to recreate the same finish as when it was done on the assembly line. All the glass is original to the car and is in beautiful shape. The underside of the car was in such good original shape that is was left alone to preserve the original factory applied undercoating. The frame and suspension components were sandblasted and refinished to original specification. The original hood scoop and rubber hood scoop gasket are still on the car. The metal piece that was originally cut out of the hood so as to mount the hood scoop and provide fresh air to the engine was found in the trunk still in primer. All of the bolts, nuts and fasteners were not just painted but, returned to their original natural finishes. The solid-lifter 421 CI V-8 has been rebuilt using all of its original components including: 13U Super Duty block, 5444127 Super Duty heads, 9770319 aluminum intake, the famous NOS McKellar #10 solid camshaft, 3433 front & 34355 rear Carter carburetors and many more original parts. 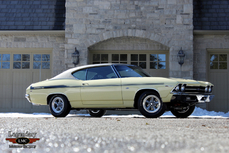 The 421ci is backed by its aluminum T10 4-speed transmission and 4.30 posi-traction rear end. 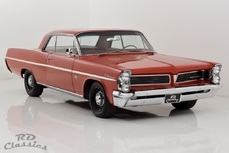 1962 Pontiac Catalina Super Duty is listed for sale on ClassicDigest in Georgetown by Legendary Motorcar Company Ltd. for Not priced.